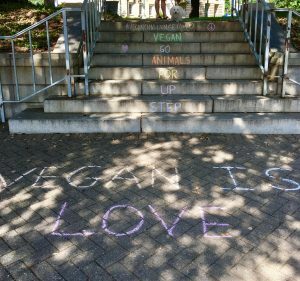 Lisa Southern » Get Ready For Triangle Vegfest October 15-16, 2016! For all of you veggie lovers, get ready for the Third Annual Triangle Vegfest! Raleigh will be hosting this FREE two day event October 15-16, 2016. It will highlight the benefits and joys of a plant based lifestyle! Day 1 – Saturday October 15th 12-5 will be held in Nash Square Downtown Raleigh, NC. Multiple yoga sessions on Sunday! Kids’ activity area where the kids can paint their own shirts and have their faces painted! Lisa Southern Real Estate is located at 15 E Martin Street, Raleigh, NC 27601. If you or someone you know is looking to purchase a home or sell a home, Contact Us to see how we can help!